Focus on competitive advantage rather than managing your financial software. No matter what size organization you support, there’s a lot riding on making the right decision when it comes to selecting and implementing new financial management and accounting software applications and information systems. How can you extend and integrate new technology into your IT infrastructure and streamline business processes? Minimize—or eliminate—vulnerabilities? Deliver better service and higher availability to your business users … all while maintaining—or even cutting—your current cost structure. Take advantage of native, multi-tenant SaaS accounting software, so you can focus on your strategic priorities and get out of the no value added business of running financial applications. Intacct features comprehensive finance and accounting capabilities for your finance organization, unlimited flexibility to scale with your business, along with the sophisticated security and availability you'd find cost-prohibitive to offer in-house. And, you can get this world-class financial functionality and operating capabilities for a surprisingly affordable subscription fee. Drive operational efficiencies. Intacct works continually to improve your experience with our flexible, enterprise-grade, cloud-native, multi-tenant architecture. See how we maintain world class availability. Get up and running on a world-class SaaS accounting software quickly—without downtime. Go live on Intacct in as few as 30 days—with minimal disruption to your daily business. Count on predictable costs, no surprises. 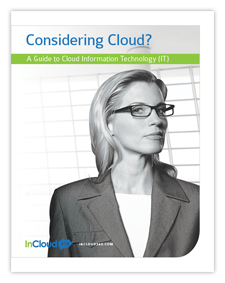 Unlike traditional ERP software, Intacct is cloud computing-based. So you pay as you go, only for what you need. And Intacct even covers maintenance and upgrades as part of your subscription. Preserve software investments. Eliminate getting locked into an architecture—or applications—that become obsolete. Our flexible, open, web services enable you to easily integrate virtually any functions, processes, and data structures with external systems—both on-demand and on-premises. Or opt for pre-built integration with leading applications. Access your financial system—anytime, anywhere. Give every stakeholder—inside or outside your organization—secure role-based access to secure web accounting software. And complete audit trails ensure you always know who did what and when. Take advantage of the highest levels of application security. Set up secure, anytime, role-based access for internal and external stakeholders. We encrypt all data—both on disk in our data centers and in transit over the network. And you can count on regular SSAE 16 Type II Audits, and PCI DSS certification. Count on Intacct for a secure financial management infrastructure. Intacct offers robust security to meet your strict requirements. We host your data in redundant Tier 1 data centers staffed 24 hours a day, 365 days a year by operations experts on three continents. And we include disaster recovery through SunGard in the unlikely event our primary data centers are completely destroyed—all included as part of your standard subscription fees. Get the mission critical reliability you expect from an enterprise-class business system. You can rely on better than 99.996% availability as outlined in our Buy with Confidence Guarantee—the strongest Service Level Agreement (SLA) in the industry. See our system status to learn more about how we maintain world-class availability.